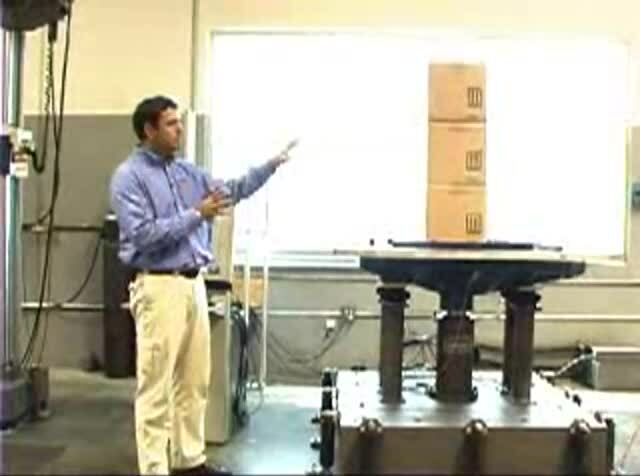 The Lansmont Model 10000 vibration test system is the largest in the standard vibration test equipment line. 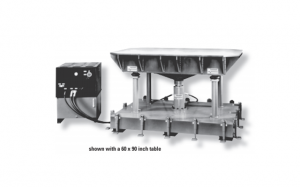 The Model 10000 was designed for vibration testing large payloads to demanding specifications. The Model 10000 can be custom configured to meet your exact needs – contact Lansmont and let our engineers help you design the ideal system for your testing requirements. The Model 10000 vibration tester was designed to accommodate a wide range of table sizes, from 36″ (91.4 cm) square all the way up to 60″ x 98″ (152 cm x 249 cm). Its 2.5″ (6.35 cm) stroke, 12,370 Lb. (55 kN) stall Force actuator can handle payloads up to 3,500 Lbs. (1,588 Kg) without the optional One-G supports, or 4,850 Lbs. (2,200 Kg) with the One-G supports installed.